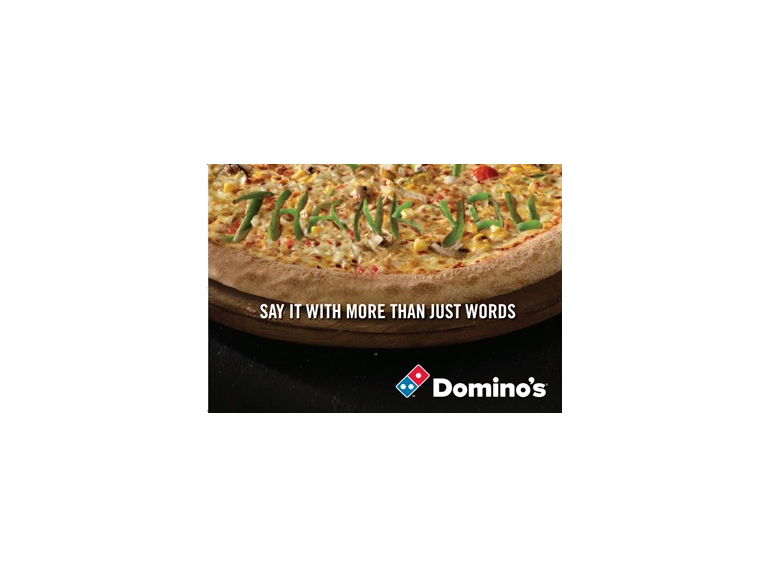 Domino's Pizza, Bolton, offers a unique way to say thank you. Saying thank you to somebody isn’t easy. You might try to say thanks with some chocolates or flowers, but a unique way of saying thank you has got to be with pizza, and Domino’s new service. Domino’s have launched a service where you can send some hot fresh pizzas to local businesses for their lunch. It doesn’t have to be to say thank you, it could just be a friendly reminder to say you’ve not heard from them in a while. They can even send out a personal card and message with the pizza, so the business receiving the pizza won’t forget you in a hurry. You never know, they might even return the favour. Remember at Domino’s one of the superb offers they have running is any pizza, any size for only £9.99 so it’s a very affordable way of showing someone your gratitude.